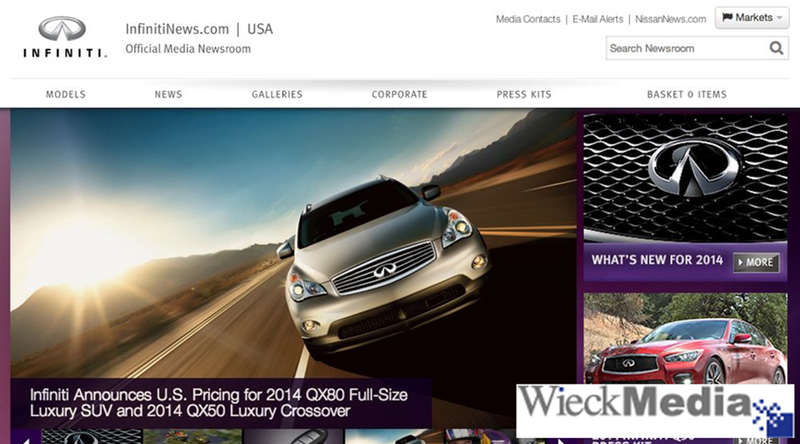 Ragan's PR Daily has once again awarded "Best Online Newsroom" to Wieck for their work on Nissan Americas media portal. Nissan decided to rebuild their online newsroom to capitalize on the growing power of brand journalism. The newsroom is designed to create a "multi-market, multi-language, hemisphere-wide news site with a goal of making the journalist's life much easier." Nissan's site is an excellent balance between attractive and informative. It's clean, easily navigable and makes it easy to understand the message the car company wants to convey upon entering the site, as well as the audience it wants to reach. Nissan's audience has taken note—the relaunched site has grown from just over 90,000 unique visitors per month one year ago to more than 300,000 visitors in the latest month. 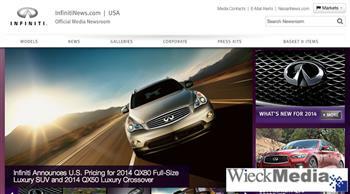 NissanNews is another example of why Wieck is the provider of choice for companies that want an online newsroom that delivers world-beating insight and technology. The Nissan Americas online newsroom, built by Wieck, winner of the Best Online Newsroom category of PR Daily's 2013 Media Relations Awards.